Lock in a great price for The Memory at On On Hotel – rated 9 by recent guests! Beautiful interior; very authentic, Cost of drinks in fridge at reception crazy cheap! 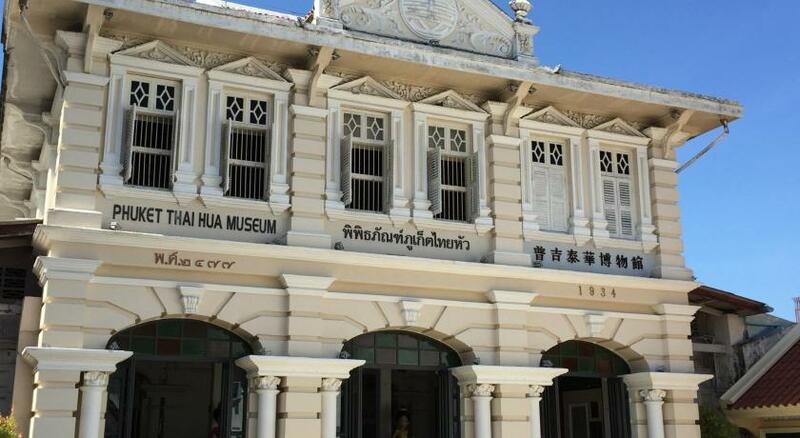 Ideal location and beautiful restoration of a wonderful building in Phuket Town. Looked just like the photos. My favourite hotel so far! Loved the old world charm & elegance, relaxing lounging areas .....highly recommend this hotel, with its historic beauty & intrigue , So glad I stayed here . This was a beautiful hotel, with very accommodating and kind staff. They helped us plan our day by recommending places to visit, and passed along any advice they had. 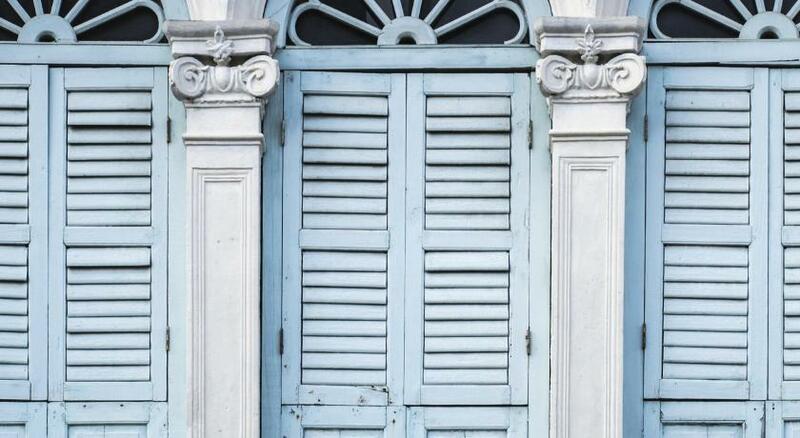 In the centre of Phuket town, the hotel is in an ancient Portuguese style with many antique decorations. The room itself is not big, but clean and gets everything you need. A nice place to take photos; staff is helpful; no breakfast, but there is a family mart nearby and several cafe or restaurants in a few minutes of walk. An awesome design with combination of old & modern culture; Convenient location if you want to discover the Old Town; Comfortable room with large bed. Staying in this place, you had a good feelings living in the past and time went back in nostalgia. Wonderful hotel with old world charm in the heart of Phuket old town. Unique atmosphere. The Memory at On On Hotel This rating is a reflection of how the property compares to the industry standard when it comes to price, facilities and services available. It's based on a self-evaluation by the property. Use this rating to help choose your stay! One of our top picks in Phuket.Located in the heart of Phuket Old Town, The Memory at On On Hotel provides comfortable private rooms with free WiFi. It features a 24-hour front desk and a tour desk as well. The Memory at On On Hotel is located 3.1 mi away from Central Festival Phuket Shopping Mall. Patong Beach is a 20-minute drive away, while Phuket International Airport can be reached within a 30-minute drive from the hotel. The rooms are provided with cable TV and an private bathroom. A range of local and international restaurants are located within a 5-minute walk away. When would you like to stay at The Memory at On On Hotel? Air-conditioned room offers a flat-screen cable TV, a fridge and an private bathroom. This air-conditioned room features a flat-screen cable TV, a refrigerator and a private bathroom. This spacious suite features a flat-screen cable TV, a refrigerator and a private bathroom. House Rules The Memory at On On Hotel takes special requests – add in the next step! Any additional children or adults are charged THB 600 per night for extra beds. The Memory at On On Hotel accepts these cards and reserves the right to temporarily hold an amount prior to arrival. Please also note that underground cable installation are currently taking place nearby the hotel. Guests may experience some noise disturbances. The property apologies for any inconvenience this may cause. Atmospheric, beautiful old-fashioned hotel. It was a real pleasure to stay here. I loved the style and history of this beautiful hotel ! A little noisy in the morning. I had a bad start in this property, although we booked more than three days we got a room with a bad smelling aircon. Thanks to the friendly stuff and the helpful manager I was able to change room the next day. The new room was clean but they forgot to clean the bathroom that day although we staid basically without room from 10am to 2pm, so in the end you loose almost a day of your stay! this is a beautiful old building and staying there takes you to luxurious times long gone. Great location, charming building with tons of history. Strong internet. Decent-size room and clean. My pillows and bed linen were dirty, looked like hadn't been changed. Wasn't cleaned next day when left sign out saying to clean in. Disappointing as hotel was so pretty. Liked the style of the hotel - very Instagrammable! Very charming and untypical hotel. Early morning noise disturbance machinery. The style and décor was beautiful. The staff were very friendly. Soft bed and excellent location. Beautiful little place! Wish we had stayed longer! Unfortunately the restaurant was closed as it was being refurbished. Great location, beautiful old hotel.